Francis Rossi will share the extraordinary secrets of his 50-plus years in rock’n’roll when he takes to the stage for an intimate evening of chat and music. In Francis Rossi: "I Talk Too Much", the founder, lead singer and lead guitarist of Status Quo will talk about his mishaps and adventures of life on the road with one of the biggest and most loved bands ever. “It was 24th June 2016 and I found myself contemplating a supermarket meal deal. I only wanted a sandwich and I only needed a sandwich but given that I could get a snack and a drink for only 5p more it seemed financially irresponsible not to. I had spent so long pondering the EU Referendum result from the day before that I was now in a massive rush. The lad on the till scanned the first two items no problem but the third item he couldn’t get to scan at all. I thought this is going to be a nightmare – there was a queue building up and he looked like he was going to call the supervisor. Then to his credit, he tried to scan it one more time, it wouldn’t scan – so he went ‘bip’ himself and chucked it through. And it was at that moment I thought ‘oh we’ll be alright as a country we will’. 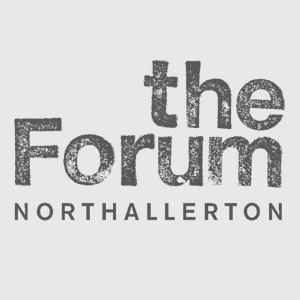 The Forum, Northallerton shared a post. Thank you The Forum, Northallerton​ can you spot yourself in our on stage selfie?!!!! TAG yourselves!!! !